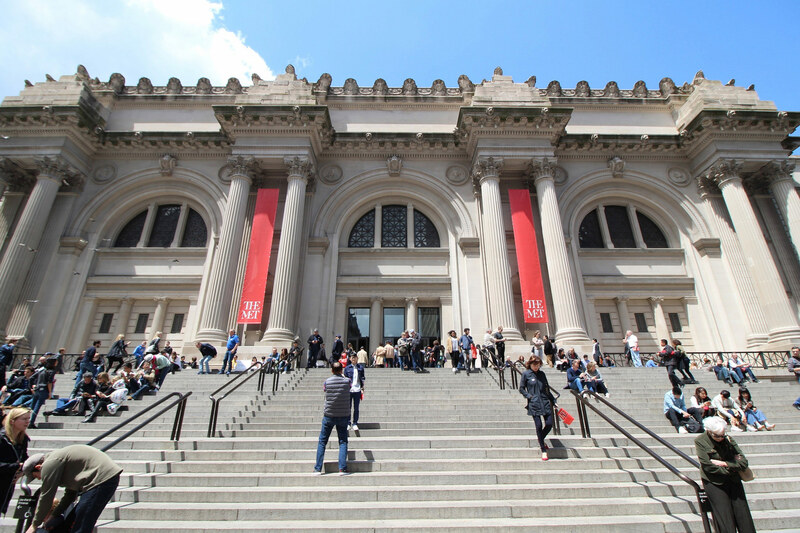 The Metropolitan Museum of Art’s flagship Beaux-Arts facade on Fifth Avenue will soon host art for the first time in the building’s 115-year history. Installing work along the museum’s historic frontage is part of a larger slew of contemporary art exhibitions announced by the institution last Thursday. The move to display new pieces, some of them site-specific, is a clear effort by the museum to fill the void created by winding down its presence at the Met Breuer. It was announced last September that the Met would be vacating the brutalist Breuer building in 2020, only four years after its renovation and rebranding, so that the Frick Collection can temporarily continue to operate there while its flagship house-museum undergoes an upgrade. From September 9 through January 12, 2020, sculptures from Nairobi-born artist Wangechi Mutu will adorn the facade’s niches. Mutu’s designs will be the first in a newly-announced annual series of installations along the building’s stone facade, which was completed in 1902 by architect Richard Howland Hunt. Although Mutu’s exact sculptures have not been revealed yet, her work has previously used collage to touch on elements of diaspora, African culture, and inequality. Additionally, Canadian Cree artist Kent Monkman has been tapped to create enormous, site-specific new paintings for the museum’s Great Hall, which will be on view from December 19 through April 12, 2020. Multidisciplinary Icelandic artist Ragnar Kjartansson will also premiere Death is Elsewhere, an immersive multi-channel video installation in the Robert Lehman Wing atrium, from May 30 through September 2. Other than marking a shift towards highlighting contemporary and new pieces, the three exhibitions also make greater use of the Met’s building itself to display them.